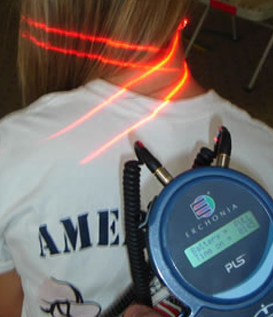 Cold Laser dramatically reduces musculoskeletal pain and inflammation as well as promoting soft tissue repair wherever the laser beam is applied. Cold Laser has undergone over 1000 published laboratory studies and is already proven effective in over 100 successful double blind controlled clinical trials. These trials concluded that Cold Laser was successful in relieving acute and chronic back pain, neck pain, headaches, osteoarthritis, tendonitis, sports injuries, pain from rheumatoid arthritis and chronic joint disorders.